Being injured in a car accident can be a substantial burden on accident victims and their families, both physically and financially. Our experienced car accident lawyers can help ensure that you are justly compensated. If you have been injured in a slip and fall accident, you may have the ability to receive compensation from the person responsible for your accident. An experienced Philadelphia slip and fall lawyer can help you with your case. Under the Pennsylvania Workers Compensation Act, an employee who is hurt on the job may receive compensation from their employer. Our lawyers will work with you to help you file your workers compensation claim. 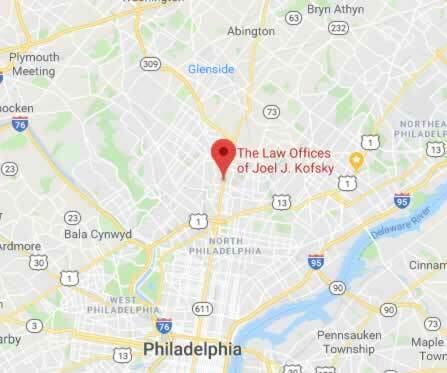 The attorneys at the Law Offices of Joel J. Kofsky have over 60 years of combined experience handling personal injury cases in Philadelphia and across Pennsylvania. 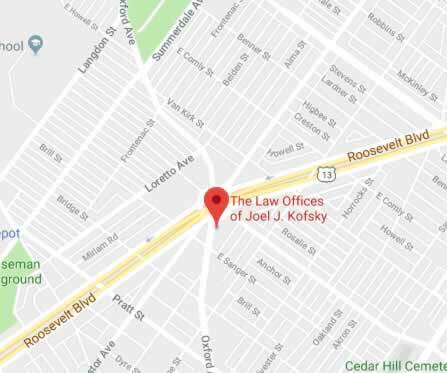 At the Law Offices of Joel Kofsky, we represent victims of any type of accident. Be it slip and fall, burn accidents, car accidents, workplace accidents, or medical malpractice, our law offices can help you begin your journey to physical, emotional, and financially recovery. Studies report that there are around 129 million visits to emergency rooms each year. Of that 129 million, 17% are related to injuries sustained from an accident. And, approximately 50% of those injuries happen to victims under that age of 30. So if you are a victim of an accident in your prime, you need help to ensure that you are compensated for the rest of your life. If you are over 30 and youve been injured in an accident, you need help to make sure that the work youve done to begin and sustain your life is not all thrown at medical bills. Regardless of how old you are and what type of accident youve suffered, you need the right attorney on your side to see you through your recovery journey. “We Win or It’s Free”® is our motto. Our attorneys have years of experience working with insurance companies to settle personal injury claims. It is important for accident victims to contact an attorney before speaking with any insurance company, because most insurance companies are only out to make a profit and may try to deny you the full amount of compensation that you deserve. We only represent individuals and never insurance companies, we will work on your behalf to make sure your rights are protected when dealing with insurance companies. Our lawyers at the Law Offices of Joel J. Kofsky, will work zealously to get you the compensation you deserve. If you or someone you love has been hurt in an accident in Philadelphia and across Pennsylvania, contact our offices right away for a free initial consultation to discuss your case. Our personal injury lawyers and car accident lawyers have the experience needed to win your case. You will only pay our attorneys if we win your case, so do not hesitate to call us. It can often be difficult to know after an accident if you have a claim against the person who caused the accident. Our attorneys provide free initial consultations so that we can go over the details of your case and discuss the possibility of getting compensation from the responsible party to cover your medical bills, any property damage, lost wages, and other expenses or damages related to your accident. Because our Philadelphia personal injury attorneys have extensive experience handling all types of personal injury cases, you will be able to find an injury lawyer or one of our car accident lawyers who has expertise in your particular type of claim and can help you determine how much your case is worth. Sprains, strains or muscles tears. It is hard to include all the personal trauma that may occur on one list, because the potential wounds and injuries are almost countless and they are certainly unique to each case. Yours may be a serious eye wound, or a passenger may have suffered a heart attack as result of the crash. So, just because an injury does not appear on our list does mean your injury is not a valid one. If it happened because of the car crash, it is part of your claim and our car accident lawyers can help. We assist with all types of accident and personal injury claims, including: vehicle accidents, dog bite injuries, slip and fall accidents, and workers compensation. If you or a loved one has been hurt or injured, reach out to one of our experienced attorneys to receive a free consultation with an attorney who has experience handling your particular type of claim.We assist with all types of accident and personal injury claims, including vehicle accidents, dog bite injuries, slip and fall accidents, and workers compensation. If you or a loved one has been hurt or injured, reach out to one of our experienced attorneys to receive a free consultation with our car accident attorneys who have experience handling these particular types of claims. WHAT COMPENSATION WILL I RECIEVE? It is normal to ask, “Just how much can I get?” However this question is difficult to answer without a consultation with an accident attorney. Call, text or email us to set up an appointment with one of our lawyers completely free of charge. Burns themselves can be extraordinarily painful and can lead to infection, other complications, disability and in some cases, death. When these injuries are the result of negligence, our experienced team of professionals will will be there for you. Burns can be caused by a defective product, electricity, heat or a chemical reaction. Simply put, there are many causes and if you have been burned due to someone else’s negligence please contact us. Of the injuries which somebody can sustain in an accident, probably the worst are head injuries and those involving the neck and back. Neck and back injuries almost always involve damage to the muscles, the vertebrae in the spinal column or the spinal cord itself. While muscle pain and dislocation to the bones in the backbone can be extremely painful, any damage to the spinal cord can be devastating. When injuries to the neck and back have been caused by somebody else’s negligence or carelessness, then you have the legal right to claim for compensation for the injuries you have received. 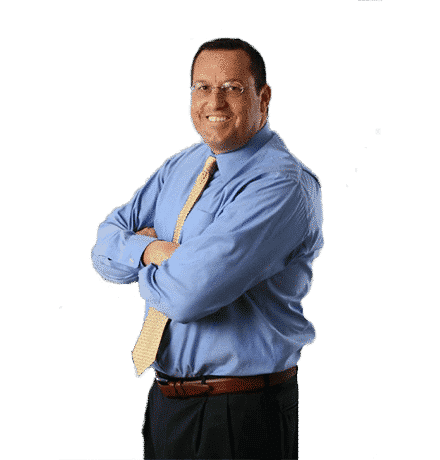 Contacting our personal injury lawyers or one of our car accident lawyers is the best way to go about claiming some recompense for any injuries you have received. If you have had a serious injury to some part of your body, like your back, in a truck accident you should seriously consider filing for damages if you think that the accident was clearly the result of somebody else’s negligence. Don’t leave it too late, as a successful claim depends very much on evidence and the fresher the evidence, the more useful it will be. Back injuries, especially if your spine or your spinal cord is damaged, will inevitably mean a huge personal expense and there should be no reason why you should have to pay for somebody else’s carelessness. Far from a playful nip, a dog bite is a very serious matter that can have lifelong consequences. Nearly 800,000 dog bites are treated each year in hospital emergency rooms across the United States. Some of these dog bite injuries will require long hospital stays, rehabilitation, reconstructive surgery and emergency life-saving procedures. Tragically, some dog bites will even result in death, especially for young children and older adults. Broken and fractured bones occur frequently to victims of injuries in automobile accidents. A fracture takes place when the force in a crash is greater than our bones’ strength. There are many auto accident victims who often suffer a broken arm, wrist, hands and fingers due to bracing in a side impact or head-on crash. When the body comes into contact with a dashboard, windshield or one of the sides of the vehicle the impact is so powerful that it can cause a skull fracture, fractures to the chin and cheek bones, broken nose and the jaw. Collisions which involve a great force can lead to a broken leg, a broken ankle and a broken or crushed pelvis. Pedestrians who are hit while in a cross walk by a vehicle sometimes break their knee bones, as well as breaking some of the bones in their necks and backs. Call our Car Accident Attorneys to schedule a free consultation. If youve been injured, you have a lot to think about. First of all, you have to consider your recovery. But also consider the following. How long will you be off work? How will you pay your bills while you are recovering? How will you get to your doctors appointments? Will they hold your job for you? How much does it cost to hire an accident lawyer ? Then of course, you have to consider the long term. What if I cant go back to work? Will I be able to perform my job again. Will I need assistance to live a normal life? Will there be any long-term damage? The answer to that question is very simple NO!